Etnies joins forces with Magenta for their latest collaboration. Magenta teamed up with Etnies for a footwear and apparel collection. The two French-owned skate brands joined forces in celebration of their mutual rider, Koichiro Uehara. 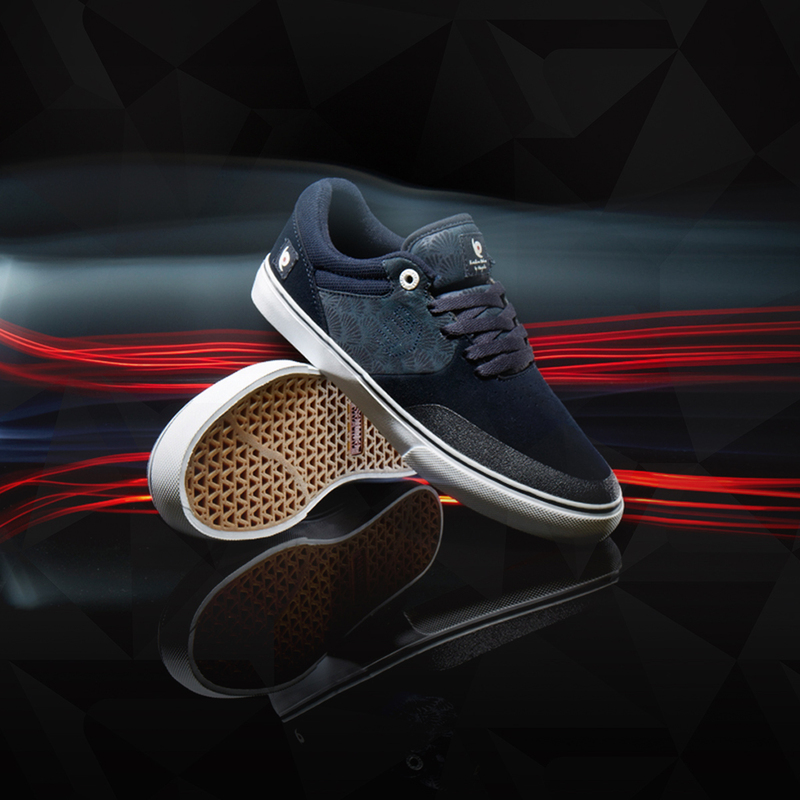 Included in this pack is the Etnies Scout and the Marana Vulc. Each pair draws inspiration from Koichiro’s Japanese roots and pays homage to old world culture, which includes characteristic heavy brushstrokes along with traditional imagery and artwork. Magenta created a special logo, combining imagery from both brands that is present on the heel, tongue tag and insoles. The Scout features an all-over graphic that is also found on the side panel and tongue of the Marana Vulc. The Magenta x Etnies Scout and Marana Vulc are available now at etnies.com as well as select Etnies retailers.